A Fine Gael Senator who was accused of making a misogynistic remark in the Seanad has said he would have said the same thing to a male colleague. Jerry Buttimer, the leader of the Seanad, was accused of using gendered language during an exchange while the Order of Business was being discussed. “I know Senator Clifford-Lee is trying to assert herself her... it is important though to listen as well,” he said during the debate. Fianna Fáil Senator Ms Clifford Lee, who was recently appointed deputy leader for the party in the Seanad, took exception to the remark which she termed “very gendered” and “misogynistic” language. 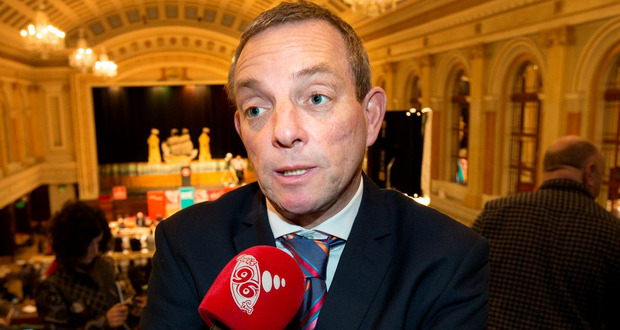 “There is the political to-ing and fro-ing and the political gamesmanship that is within the arena that is the chamber,” Mr Buttimer told Independent.ie’s political podcast The Floating Voter. “I wasn’t in anyway trying to be derogatory,” he said. Mr Buttimer said he is very pro-equality and was supportive of quotas and getting women and young people involved in politics. He said he “absolutely” would have directed the same comment to a man. “If you look at the Order of Business in the Seanad... or any debate in a similar situation be it in a radio studio... there is that back and forth, you defend your position. “I don’t look at it as a man or a woman I look at it as a politician or a political party,” he said. “I have the hugest of respect for everybody who is involved in politics because we are there on behalf of the people but we also put forward our own point of view.